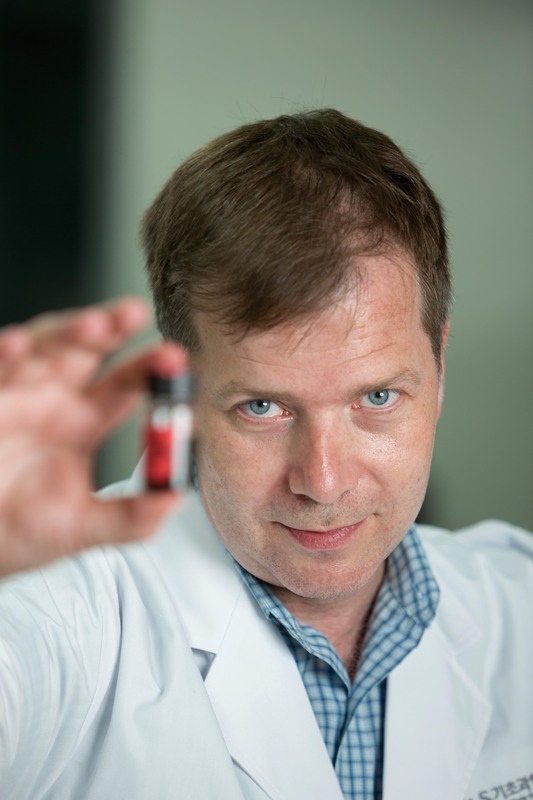 For his pioneering research in computer-assisted organic synthesis, UNIST’s Bartosz A. Grzybowski has been honored with the 2016 Foresight Institute Feynman Prize for theoretical nanotechnology, by the California think tank dedicated to the beneficial implementation of nanotechnology. 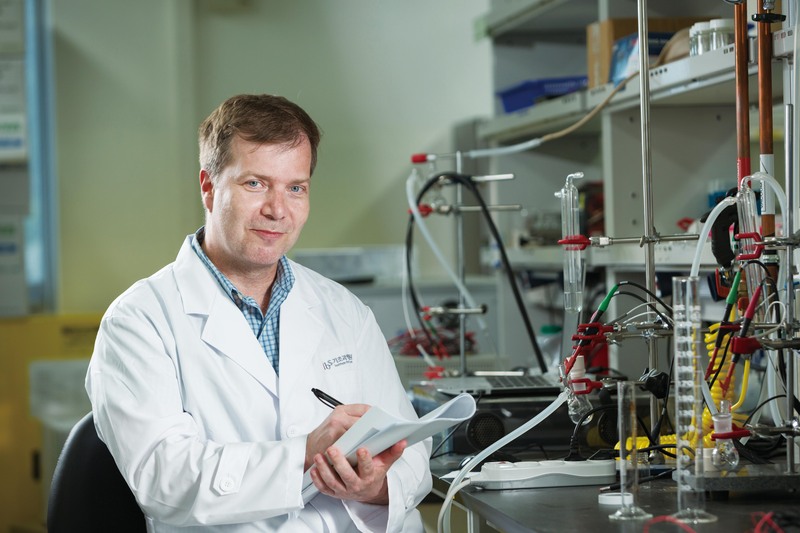 Distinguished Professor Bartosz A. Grzybowski (Department of Chemistry, UNIST) is a group leader of the Center for Soft and Living Matter within the Institute for Basic Science (IBS) at UNIST and a professor at the Polish Academy of Sciences in Warsaw. This award is in recognition of his outstanding contributions to the field of research on computer-assisted organic synthesis. Distinguished Professor Grzybowski’s current research interests revolve around the computer-assisted organic synthesis. This award recognizes him for developing a database of all known organic chemical compounds and the ways that they react together. This artificial intelligence software, called Chematica uses algorithms and a collective database of 250 years of organic chemical information to predict and provide synthesis pathways for molecules. This one giant network of organic chemistry has the potential to enhance a chemist’s quest for drug discovery and other industrially important chemicals. 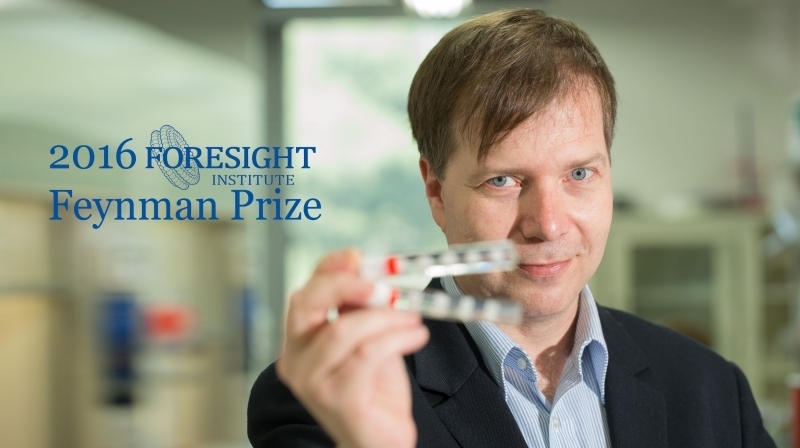 Distinguished Professor Bartosz A. Grzybowski was acknowledged at the annual Feynman Prize presentation ceremony for his influential research. 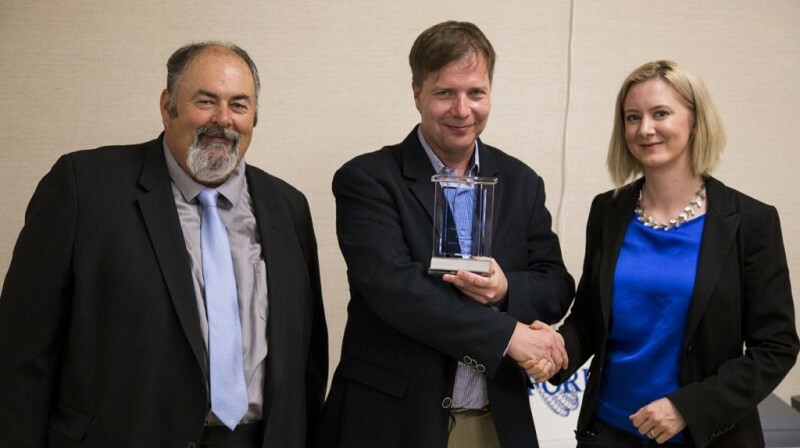 From left are Foresight Treasurer & COO Steve Burgess, Prof. Grzybowski, and Foresight President & CEO Julia Bossmann. The prize, first awarded in 1993, is an award given by the Foresight Institute every year to an individual whose recent work has most advanced the achievement of Feynman’s goal for nanotechnology, as exemplified by the late physicist Richard P. Feynman. It is given in two categories of nanotechnology, one for experiment and the other for theory. 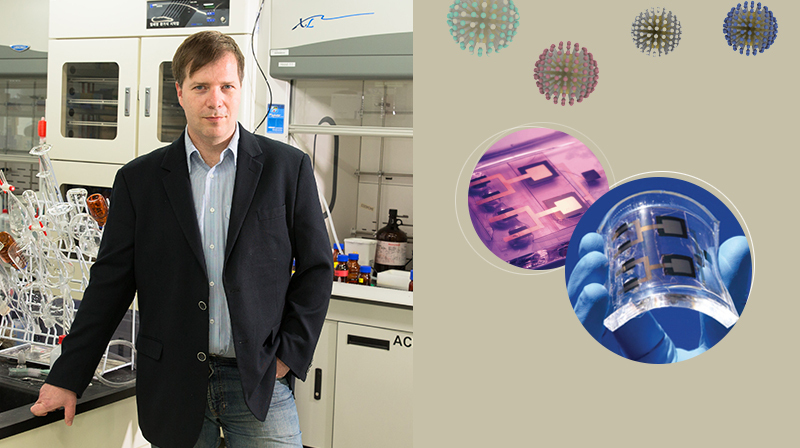 The institute awarded a second Feynman Prize for experimental nanotechnology to Chair Professor Franz J. Giessibl of the Institute of Experimental and Applied Physics in the Department of Physics, University of Regensburg, Germany for his contributions to the fields of research on tip structure and atomic manipulation in scanning probe microscopy.